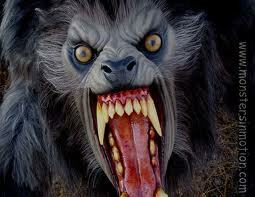 Writers and werewolves, we both come out when the moon is full and growl when things aren't going our way. Oh wait, maybe only the last half of that sentence is true. I confess to being a bit of a writer werewolf. There's nothing like a day of bad or difficult writing to make me bite the nearest victim. I've also been known to snarl when interrupted in the middle of a stretch of amazingly good writing. Just ask Child #1 or 2. They'll be happy to verify the foregoing statement having experienced it multiple times. They might even show you their scars. As writers, are we all moody, our snarls governed not by the moon but by the success or failure of our storylines? Maybe it's human nature to become rabid when work is difficult or in the face of multiple interruptions. "Mom, have you seen my snap-on bracelet. Honey, can you sign these papers? Mom, some guy at the door wants to talk to you about storm drains." These are the things of daily life that turn my eyes from green to glow-in-the dark red. 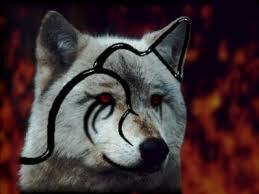 Like most werewolves, I have no desire to go from rational human to blood-thirsty hound. I fight my impulses to snarl, snap and growl. Deep breathing work wonders, so does exercise and finding reasons to laugh. When all else fails I retreat to a corner and gnaw on a bone until the full moon turns back into a sliver. Do you exhibit werewolf-like tendencies? If so, how do you cage your growly beast? Labels: No children or animals were harmed in the writing of this post. All bones are purely metaphorical. Writers. Bones. Writing. Halloween. Fiction. Fun. Don't think I've bitten anyone but I have gone all Ninja on a ringing phone before. I get moody when I don't have any time to write; that is, when I'm only able to write lesson plans, comments on students' papers, and notes for my dissertation, I get REALLY moody. I turn into a female version of the Hulk who hasn't had her coffee yet. I'm pretty sure my husband would say I turn into a growling beast when he interrupts my writing. I am a werewolf and I'm trying really hard to cage the beast. Especially after my son commented on how nice I was the other day when he was getting ready for school. I was like, am I usually mean? He just looked at me. Yikes. It's the multiple interruptions that do me in. Day in and day out. Over and over and over. Although I love the people and dogs that do the interrupting, I don't seem to be able to stop the werewolf from showing its fangs and glowing eyes very often. It's my worst vice. I'm cracking up imagining you gnawing on your bone in the corner. I'm like Alex, constantly being interrupted by a ringing phone is what sets me off and brings my fangs out. We're supposed to cage it? Oh. My family will be happy about that. Oops, did I say that out loud? 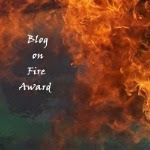 On your blog? I get that way when my wife tries to hurry me up while out taking pictures? Similar to your experience I suspect...plus that first picture you have is pretty intense. Yup. I'm a werewolf when it comes to writing and in my daily life. Oh don't worry. I'm a benevolent werewolf. I'm not going to maul anyone unless they really irk me, and I'm a pretty laid-back guy. I've even adopted the stage name "John the Werewolf".